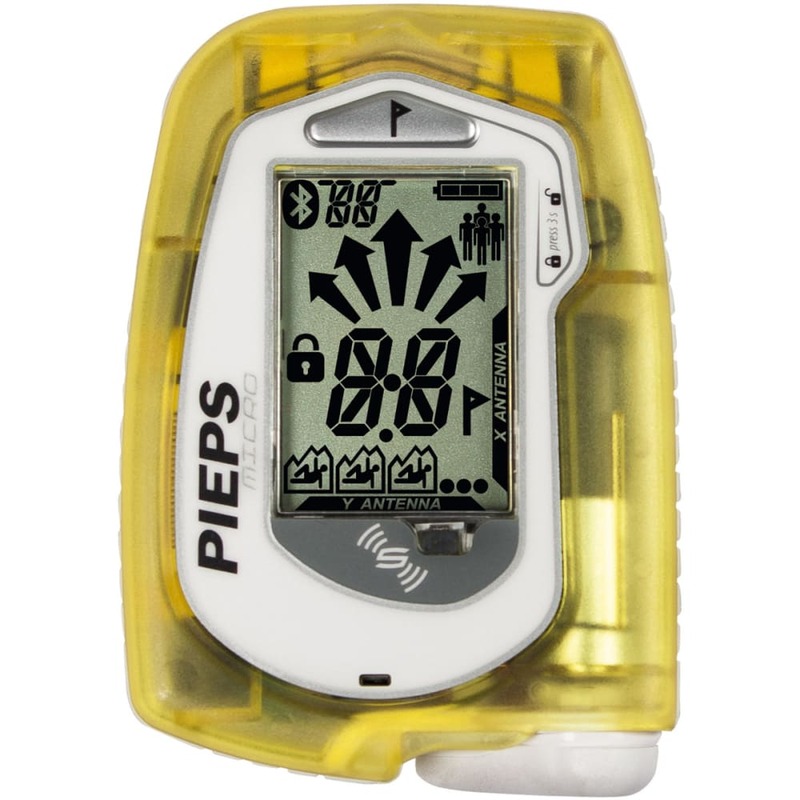 The smallest and lightest three-antenna beacon on the market, the PIEPS Micro is a compact, easy-to-use beacon for sidecountry and backcountry use. The Micro is the first beacon to offer sensor technology, which allows the beacon to switch from send to search mode as the user focuses on the rescue. With a large display for easy readability, the Micro features a vibration-based warning that triggers upon first reception of a signal, and it offers a truly circular range for a higher level of accuracy. With a 40 meter range and a flagging function for multiple burials, it's the go-to for moderate backcountry use.